Snegurochka, or the Snow Maiden, is a Russian folk-tale adapted into a play, and later into an opera. It lives in my vocabulary between Schenectady, a snowy town in upstate New York, and Stolichnaya, a Russian vodka. But far more interestingly is that this production by Lowell House Opera in Cambridge, MA was produced in a DINING HALL in one of the residential houses on the Harvard campus while maintaining all the production quality you’d expect from a traditional theatre venue. Night after night I sat on the counter next to the soda machine taking notes and marveling at the performances in what I consider one of the most beautiful shows I’ve worked on. 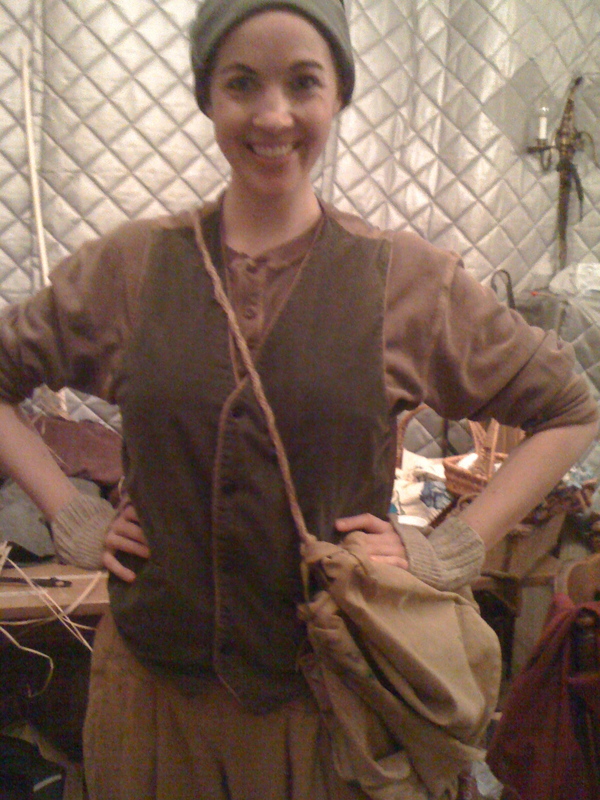 We were having some trouble making the lovely woman playing the part of the young boy look like a young boy. I collaborated with the costume designer and director, suggesting the wristlets and re-making her (his) bag to help with the character. In the big choral scenes it was a challenge to make sure everyone had the right thing in their hands. We went through many baskets, bags and scarves working towards the right look.